How to Win Friends and Influence People by Dale Carnegie is a timeless bestseller. It quickly became the salesperson’s manual when it was first published in 1937 and has now sold more than 15 million copies worldwide. Dale Carnegie understood human nature better than just about anyone in the 20th century - or today for that matter. His message was simple: happiness and success are achieved when you focus on making others happy and successful. Salespeople have done well using his advice for more than 70 years now - whether peddling pig lard in the Dakota badlands (as Carnegie did) or selling SaaS offerings in San Francisco. Since his advice transcends time and technology, here are 5 things Dale Carnegie can teach you about social selling. Carnegie maintained that “you can make more friends in two months by becoming interested in other people than you can in two years by trying to get other people interested in you.” This statement can apply to sales as well. Sincerity is a powerful ingredient in building the integral know-like-trust factor that facilitates the sales process. Becoming genuinely interested in the other person’s perspective naturally encourages others to open up leading to understanding and insight. And once you’ve identified someone’s motivations, you are better positioned to build a relationship and ultimately be of value to them. Carnegie didn’t have the social web, but there’s no question he would have leveraged social data to find common ground and establish context at the outset of the sales process. Today’s top sellers use social data to supercharge sales leads and establish connections with prospects. Carnegie’s outlook was that if a man is not judged until his last days, why should you and I judge? Establishing early in the relationship that you are neither judgmental nor carrying baggage immediately makes you more approachable. Your online reputation precedes you in the era of social selling. Maintaining a personal brand online that’s positive, helpful and approachable sets the stage for success. Providing ample opportunity for your prospect to feel heard shows you value their perspective. A large majority of today’s buyers leverage social for research, which also means they’re active on social channels. This provides you, the seller, with a great opportunity to research your prospect using social data. Taking time to understand the context of your buyer can help you shape a discussion that allows your prospects to speak to their interests. According to Carnegie, “One reason why birds and horses are not unhappy is because they are not trying to impress other birds and horses.” What if instead of competing in a “rat race” we chose to just compete with ourselves – to be the best version of ourselves? This way, we shift the focus away from feelings of entitlement, such as whose idea it was and where credit (or blame) should go. The subtle art of the sale is helping the other person reach the conclusion you want them to reach by gently guiding them through the decision making process and providing help at every turn. In other words, you can help the prospect discover the idea, but the prospect should own it. 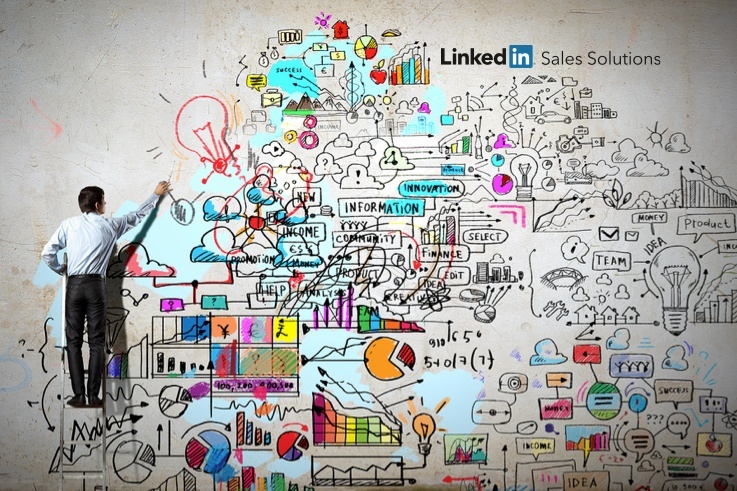 Often times, social selling doesn’t involve sales. When you inform your prospects at relevant points of the buying cycle, prospects can naturally lead themselves to your offering and the rationale behind it. Promoting facts and features alone sends selling signals that can cause your prospect to withdraw. But a well-told story can shape a person’s mental attitude and allow them to be more engaged. There is no shortage of ways to tell your story through social selling. Your prospects want content that helps them succeed professionally and stories they can share with colleagues. Today’s social sellers are establishing new relationships by curating content (company and industry) and are sharing it in a way that connects emotionally. Dale Carnegie elevated the attitudes and perceptions of generations of salespeople. He was an industry advocate who helped bridge the gap between sellers and buyers. It’s fairly safe to assume Carnegie would appreciate the advances of social selling, especially as it relates to elevating the reputation of the sales professional.